Record Name Richmond CP. Deepdale, Upper Scar. Yew and rowan. 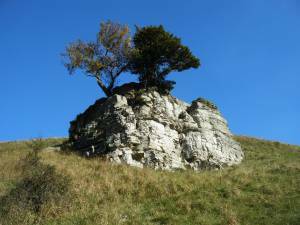 Record Description Isolated yew and rowan on small isolated west facing limestone Scar at the upper edge on the eastern side of Deeepdale. 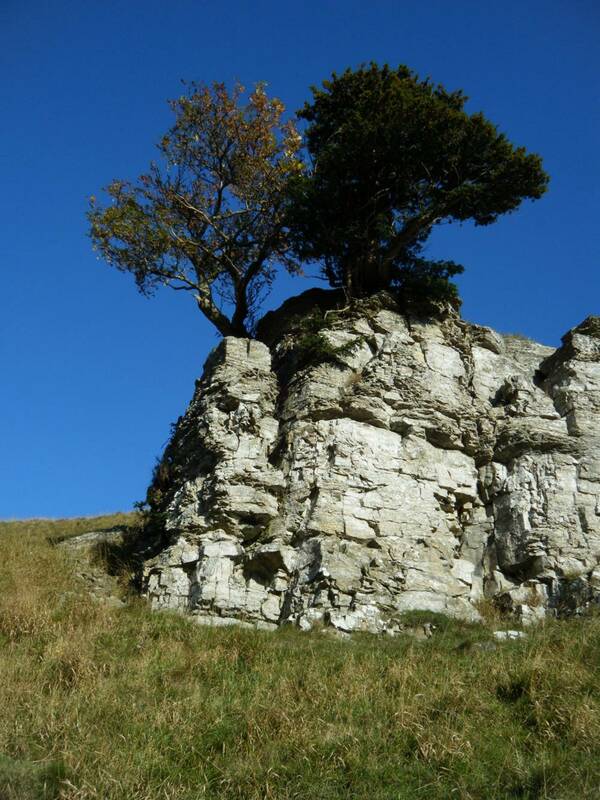 These two small trees are characteristic of cliff-edge trees at exposed, cliff edge locations. 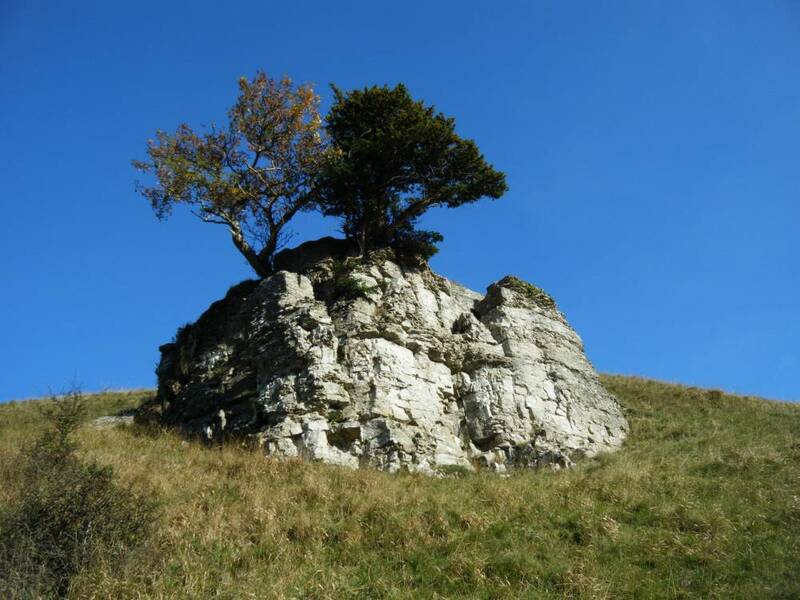 No other trees on this very small outcrop. 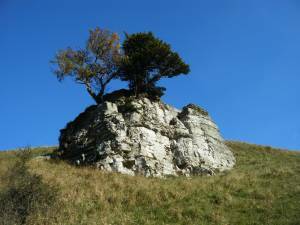 Additional Notes This is a small but very attractive limestone cliff, especially when seen against a blue sky. Image 1 Description Deepdale Upper Scar with rowan and yew, seen from below. Image 2 Description Deepdale Upper Scar with rowan and yew, seen from below. Image 3 Description Deepdale Upper Scar with rowan and yew, seen from below.